ethnic | Desert Whale Jojoba Co. 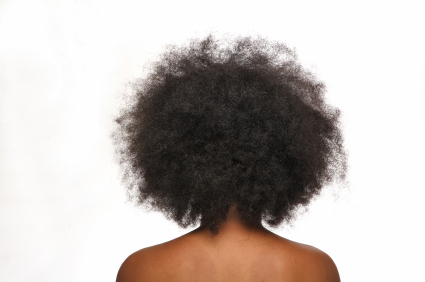 Hottest Ingredients in Ethnic Hair Care! Avocado: For hair, avocado is used in hot-oil treatments and for deep, hair conditioning. Avocado pulp can be whipped smooth and applied to face or massaged into the hair for a quick and easy softening, conditioning and moisturizing mask. Jojoba: Jojoba acts as a humectant on the hair and scalp by sealing it to prevent moisture loss. All hair types will benefit from jojoba but hair that is dry and damaged will benefit the most, as jojoba coats and seals the hair cuticle. This maintains moisture balance, essential for healthy hair. Jojoba extract is also said to remove buildup. Macadamia nut: Macadamia oil reduces dryness. It is a natural moisturizer and emollient (emollients attract and trap moisture from the air). Macadamia oil is light and non-greasy so it is easily absorbed into the hair shaft. Another gift of macadamia nut oil is that it contains proteins, and its vitamin E contributes skin-care benefits and long shelf life. The high count of mono-unsaturated fatty acids makes the oil mimic sebum. Shea butter: Shea butter is remarkably high in unsaponifiables—up to 11%, giving natural UV protection. This is one of the reasons it is beloved by Africans whose skin and hair is almost constantly exposed to sunny and sometimes-harsh weather conditions. The UV protection is useful elsewhere as well. Having some UV protection enables our hair to retain its natural vibrancy, color treatments and softness. The softening quality of shea butter makes it useful for hair and body care, as it is easily and quickly absorbed when applied topically. For most types of hair, shea is a good hot oil treatment, wherein it is melted, cooled slightly, and then applied warm to the ends of hair where split ends occur and to the scalp. If you don’t like the feel of shea butter try jojoba butter or lime seed butter they are less greasy and lighter in feel. Getting bored with jojoba oil? Try Jojoba Proteins or Jojoba Wax to liven up your hair care formulation.